Discounted prices for the remaining availability start from around £900 per person per week (assuming two people sharing a room). Contact us for specific price and availability information and short stay enquiries. The chalet sleeps 10-15 people in six en-suite bedrooms. Special prices are available for full chalet bookings, children and supplementary beds. Self-catered & catered options. From £1500 per week. Read our Excellent reviews on TripAdvisor. Please rotate the the screen of your mobile device if you cannot view the availability clearly. Tell us your question and we will respond today! Or call us now in the UK on 0131 285 5645 for more information. Please see our services page for details. "My five grandchildren had room to play together without disturbing the adults and we were happy to be all around a large table….. The children's home in the garden was a very joyful discovery. It really is lovely for children." "One would almost want to not say too much about the chalet in case it is rented to someone other than us next year! Warm, beautiful, spacious, quiet." "Thankyou we had a lovely week in your beautiful chalet." 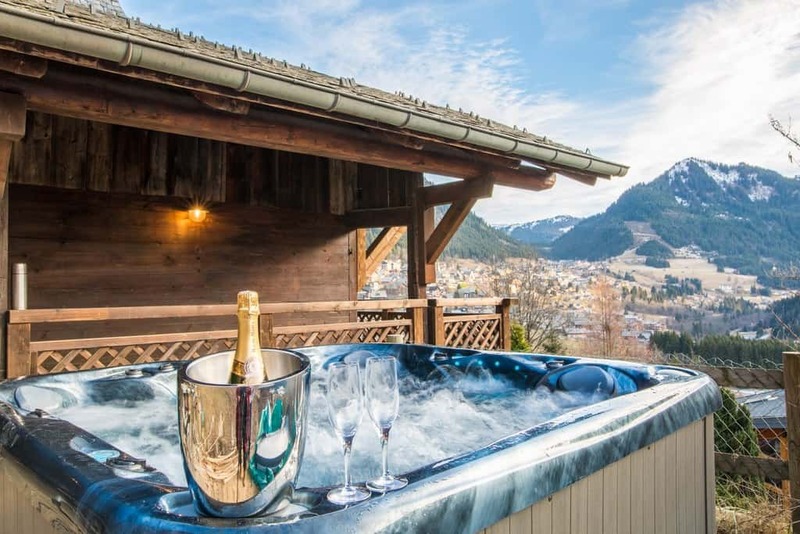 We are delighted to be taking chalet bookings for Winter 2019/20 and are offering a limited time discount of 10% off the regular price for full chalet for bookings made before the end of March 2019. Full chalet bookings start from around £10,000 (including the early booking discount). Contact us now for more details or with any questions.